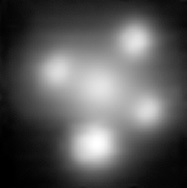 Close-up of the Einstein Cross, as observed with the SINFONI instrument on ESO's Very Large Telescope. 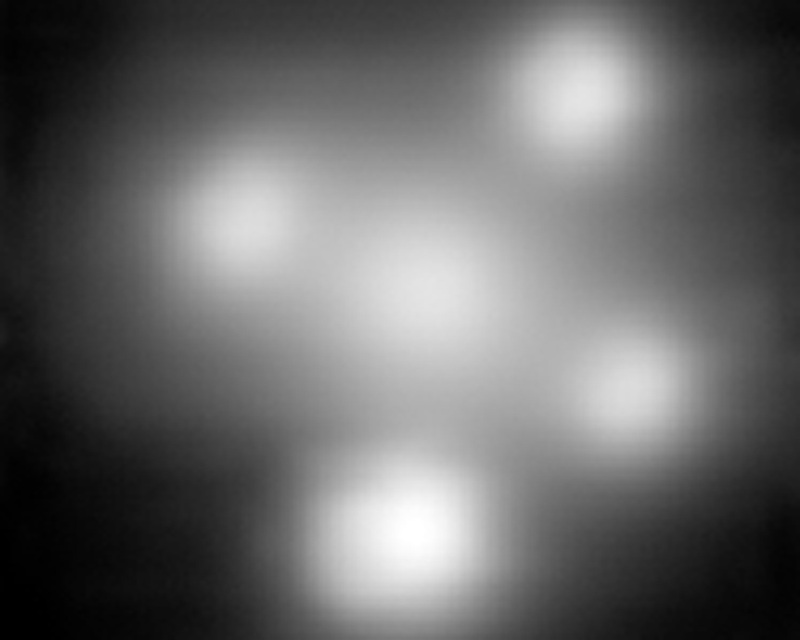 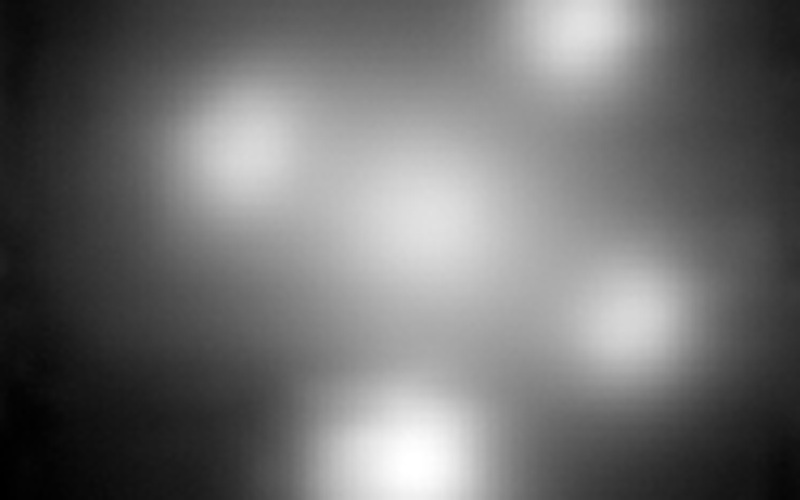 SINFONI makes use of the adaptive optics technique and so, allows astronomers to overcome the blurring effect of the atmosphere, thereby providing very sharp images.  The central blob is the nucleus of the lensing galaxy, surrounded by the four mirage images of the distant quasar.